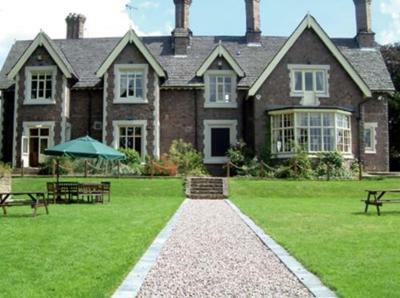 Lock in a great price for The Hunting Lodge – rated 8.3 by recent guests! 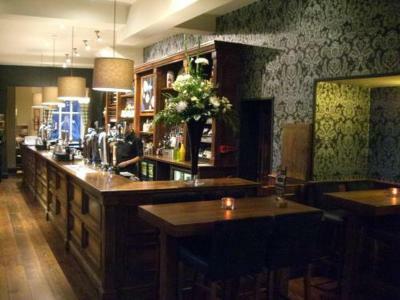 All staff helpful and friendly. Continental breakfast was very good. Prompt restaurant service. Good parking. Décor of the room (Fagan) was nice, breakfast was good and staff were very friendly. Great staff and beautiful rooms. 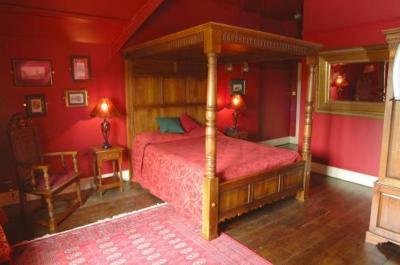 We were offered an upgrade but decided to stick with our original choice, the Red room.. v sumptuous! Staff helpful and Breakfast really good. We arrived on a particularly hot day and requested a fan which was supplied. A pleasant experience. Great cooked breakfast for extra £7 comfy chairs in lounge area and good food in the on site. Lovely walk to nearby Barrow Boats on the canal by Navigation Pub and witnesding moored and passing narrow boats..recommended. Breakfast was great: loads of fresh fruit; range of cereals; juice; coffee; toast. Glad the full English was extra as it saved us from ‘getting our money’s worth’. The included continental breakfast was more than enough. Very friendly manager chap! The hotel is lovely and has themed rooms which seem very interesting! Beer is good (you will have to take my husband's word for that) and the menu is varied with a good choice of tasty food. 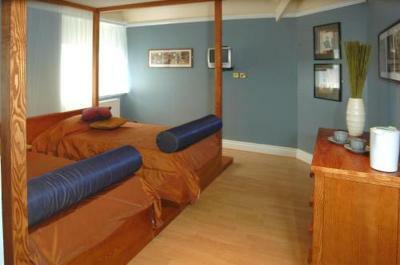 Rooms are large and airy, staff are extremely friendly, efficient and patient. Breakfast was an additional cost but the chef is definitely on a roll because brekkies was excellent. I liked the extra touches such as the glass water bottles which were regularly topped up. Lovely gardens with lots of furniture if you wanted to sit out and make the most of the beautiful weather. There were extra pillows and blankets in the wardrobe which is a good idea and the shower was absolutely brilliant although a shower screen would have been preferable. The Hunting Lodge This rating is a reflection of how the property compares to the industry standard when it comes to price, facilities and services available. It's based on a self-evaluation by the property. Use this rating to help choose your stay! This spectacular 3-story granite building has been lovingly restored with an added touch of the contemporary. 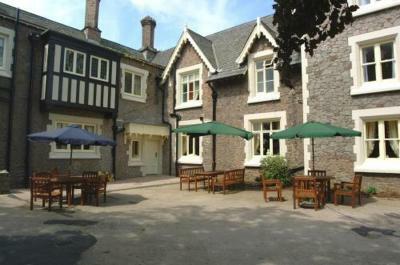 Enjoy a large garden, open fires and restaurant. 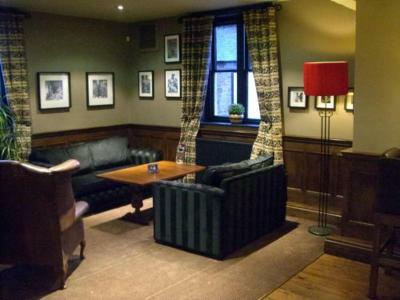 After a day of travel or exploring the surroundings, relax in the inviting leather sofas and chat with friends. Here, you can also browse the wireless internet for free. The Hunting Lodge boasts 6 individually styled bedrooms ranging from the ethnic origins of the Biko room to the regal opulence of the Louis room. 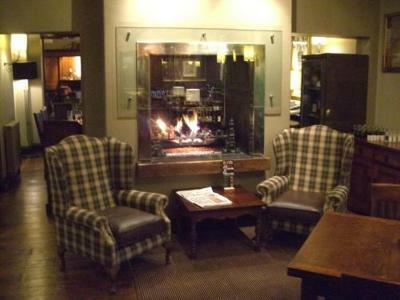 The Hunting Lodge's restaurant offers an extensive menu boasting delicious homemade meals. Themed from a Dickenson novel. 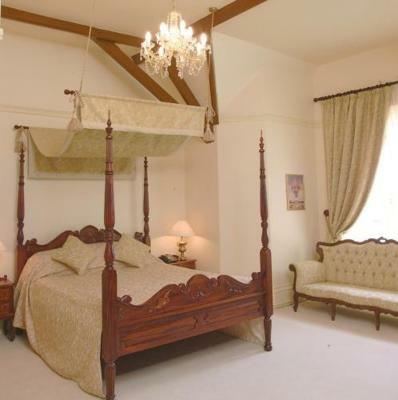 The traditional solid oak four poster bed complements the medieval,cozy feel to this room. Indulge yourself in this regal, opulent king bedroom. 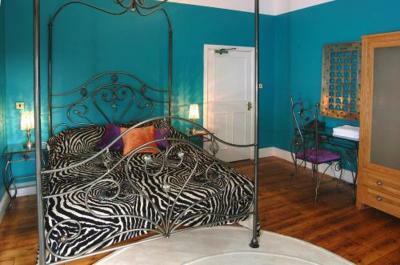 This unique and 'quirky' double room brings together the sort of furniture, colors and design you would expect to see from the great artist himself. 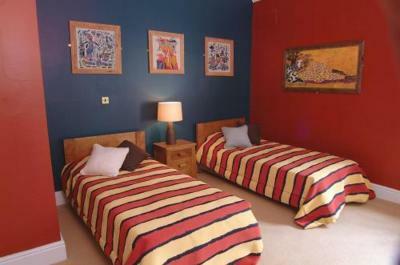 A twin room with a difference. Incorporating the principles of Feng Sui with a modern, contemporary touch of the Oriental design. Experience the elegance and calmness of the dreamy Chopin room with sleigh bed. Couldn't understand why rooms were 'themed' - our room had no sign of anything to do with Chopin. Room wasvratger dark. One ceiling light not working. The room was a bit cold after the heating system went off, electric plug in heaters had been provided but could not find enough sockets. The noise from the bar was a bit loud towards midnight. Although a very nice and more than adequate continental breakfast, I feel that the option of a full English should be included in the price. Design of bathroom fittings did not quite provide adequate flat surface for needs. 1) Local taxi service very patchy - a 45 minute wait for one to get to a party a few miles away; couldn’t get one back to the Lodge! Some kind of an alert for guests about the paucity of provision would have meant a bit more forward planning. 2) Very noisy cleaner bashing a hoover across the wooden flooring and banging doors meant for a less than relaxing breakfast - the staff did explain, when asked, that there’d been a problem that day and the cleaning team were operating much later than usual. Sorry, only three issues. 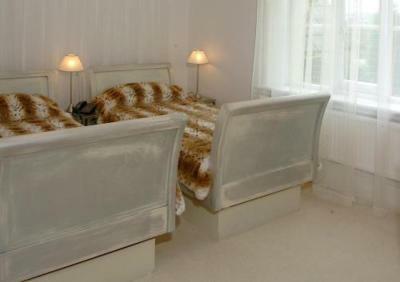 The beds in the Chopin Room were not comfortable for us at all. I did mention this as we checked out and was advised that they were in the middle of changing the mattresses which would be a good idea. The security light was directly outside Chopin, which would be of concern to someone who was not able to sleep well, and was on until the early hours of the morning for folk out in the garden. Pillow 'covers' would be a good idea under pillow cases for hygiene reasons. Linen in room was 'scratchy' the rooms were very basic. All was good for what I expected. Very quiet room (Chopin). 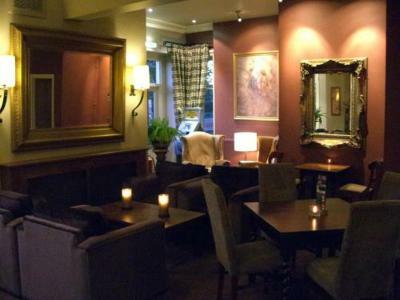 Good pub and quiet restaurant. It’s a real traditional english place. With early check out (7.00am) they serve you the breakfast basket in the room. Very kind. Will be there again.